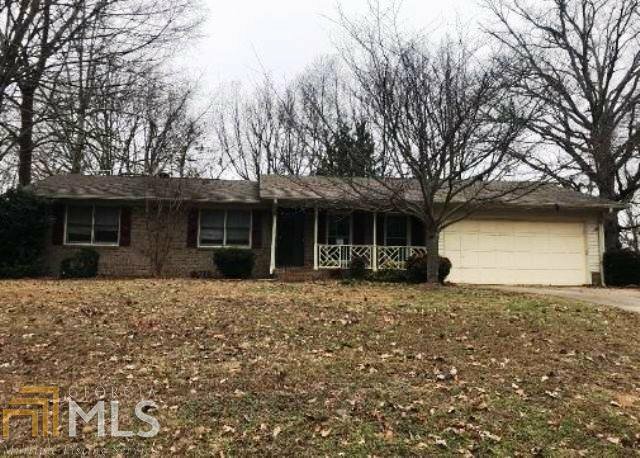 Wonderful opportunity to own this cute ranch home that is conveniently located in close proximity to major roadways, schools, shopping, restaurants, parks and recreation. Offers 3 bedrooms, 2 baths, family room with fireplace, separate dining, nice rocking chair front porch and deck overlooking spacious level backyard great for outdoor enjoyment and entertaining. Needs some tlc and updating. Come see how your finishing touch can make this your perfect space. Contact your local agent to schedule your viewing and make an offer today. Vacant, no appt needed. Listing courtesy of Owners.Com. Selling Office: The Suri Group, Inc..